How to make roasted pumpkin seeds at home. You can even use this method for other winter squashes like butternut squash. 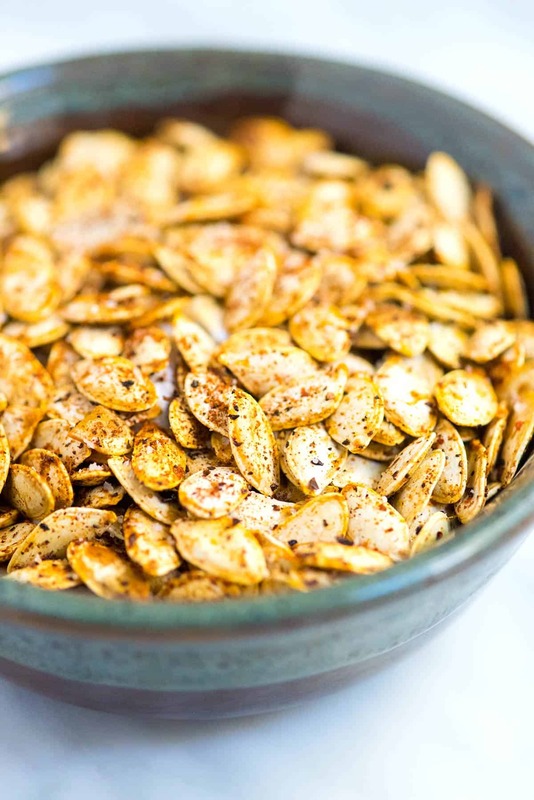 Jump to the Easy Roasted Pumpkin Seeds Recipe or read on to see our tips for making them. The first time I ever looked into how to roast pumpkin seeds I was in mid scoop of carving a pumpkin. Is that you, too? Welcome and I’ve got your answer below. Halloween isn’t the only time to roast pumpkin seeds, though. They are so tasty, you can do it throughout fall and winter. 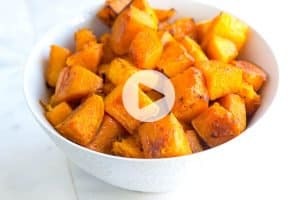 You can even roast the seeds of other hearty squashes. Think butternut, spaghetti squash and delicata squash seeds. The method stays the same, although you may find the smaller seeds don’t need as much time in the oven. 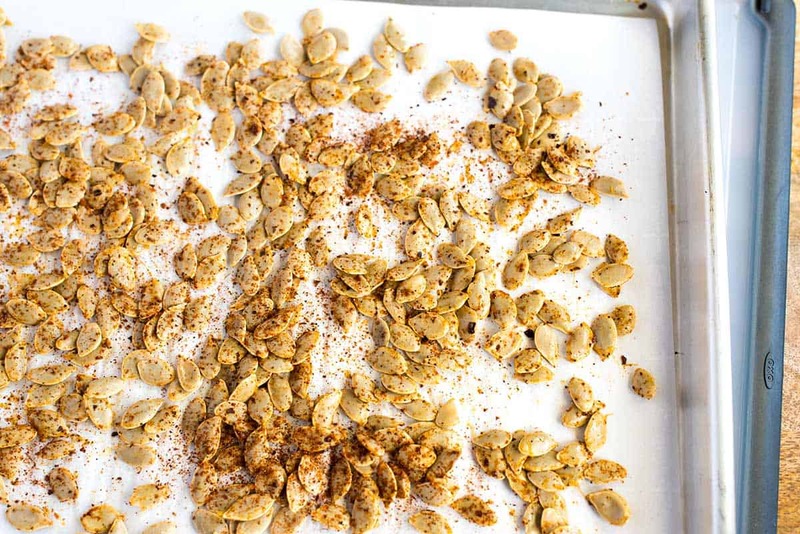 Don’t throw away those seeds, here’s how we turn them into a delicious snack! After scooping out the seeds, they’re going to be a bit messy. To clean them, throw them into a bowl of cold water. Swish the seeds around a bit then as they float to the top, take them out. They’re mostly clean at this point, which is fine because they have one more chance to clean up. Add the mostly clean seeds to a pot of boiling salted water. Then simmer for about 5 minutes. This cleans the seeds and seasons them — like how adding salt to the boiling water seasons pasta. Drain and rinse the seeds. Pull away any extra bits of pumpkin left then dry them as well as you can. The more dry the seeds are, the better they will roast. Toss the dry seeds with some oil — use olive oil, coconut oil or a nut oil like walnut. Add a sprinkle of spice — we used harissa in the photo, but curry or chili powder are also wonderful. Spread the seeds into one layer and roast until crisp and browned around the edges. 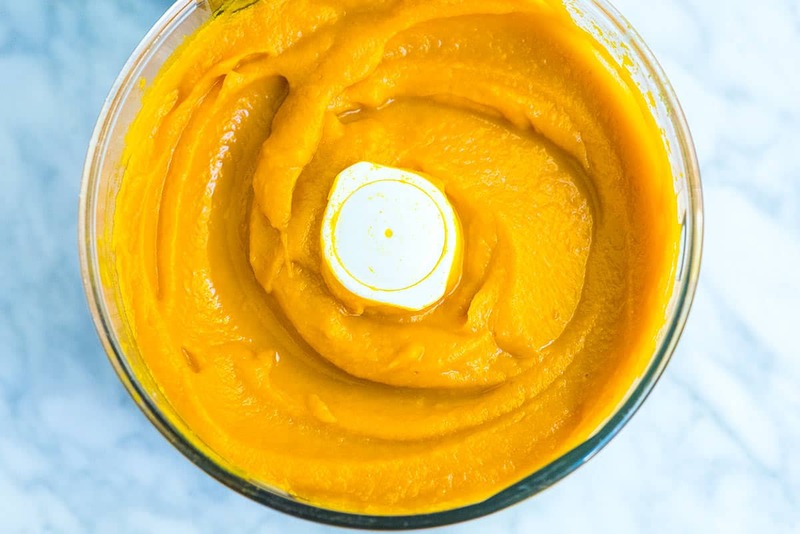 Sprinkle these pumpkin seeds on top of dishes like our Easy Pumpkin Mac and Cheese, our Quick and Easy Creamy Vegetable Soup (35 minutes), this 7-ingredient Roasted Butternut Squash Soup or these Creamy Avocado Lime Sweet Potato Noodles (gluten-free). 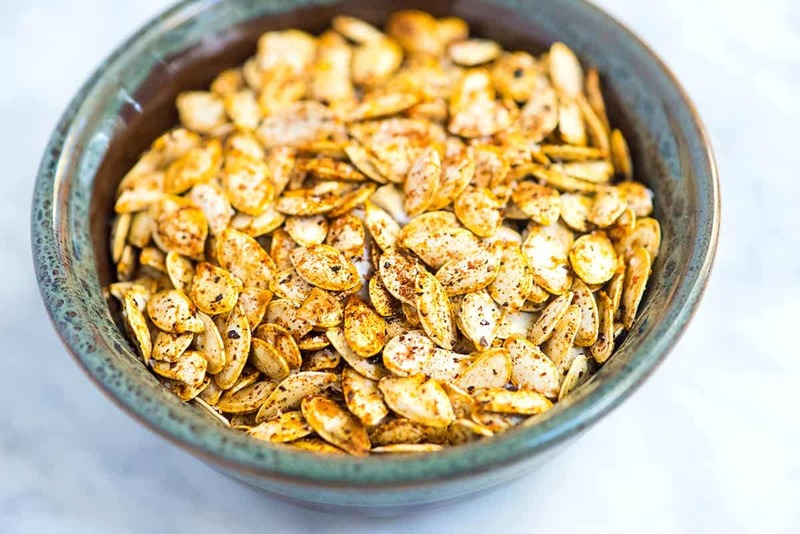 Season pumpkin seeds with almost anything from your spice cabinet. Boiling the seeds in salted water for 5 minutes before roasting helps to clean and season them. Before baking, pat the boiled seeds very dry otherwise they will not brown or crisp. Heat the oven to 350 degrees F. Line a baking sheet with parchment paper. Fill a medium saucepan with about 2 cups of water and season with 2 teaspoons salt. Bring to a boil. Meanwhile, scoop the seeds from your pumpkin. Add the pumpkin seeds to a bowl filled with cold water and swish them around until the seeds float and are mostly clean. Add cleaned seeds to the boiling salted water. Simmer for 5 minutes. 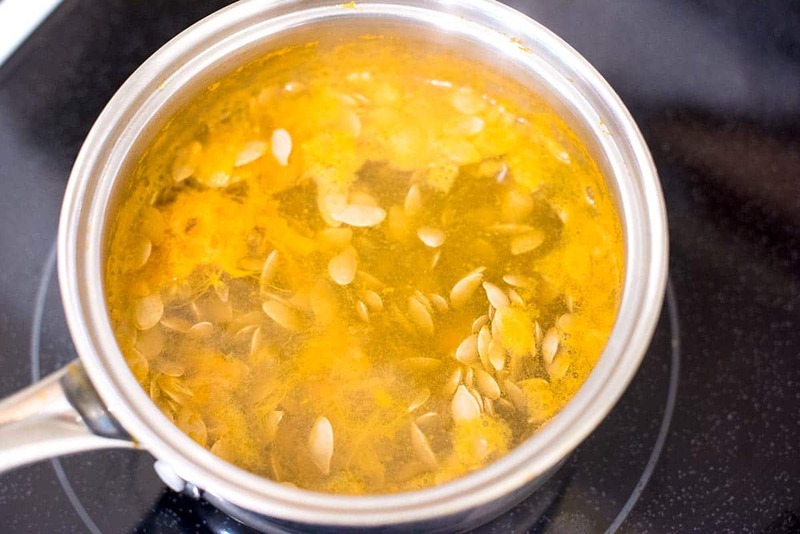 Drain and pull away any remaining pumpkin attached to the seeds. Scatter the seeds onto clean dishcloths and pat them very dry. Mound the dried seeds onto the prepared baking sheet. Add the oil and any spices on top then toss until well coated. Spread the seeds into one layer. Bake, stirring the seeds at least once, until fragrant and golden around the edges, 10 to 25 minutes, depending on how large the seeds are. Harissa is sold in it’s dried form — like curry powder — as well as in jars mixed with oil. 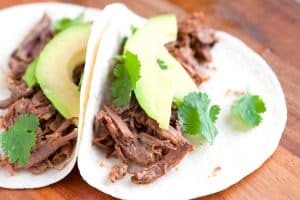 We used the dried harrisa spice blend in the photos above. 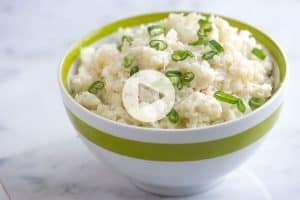 You can use harrisa already mixed with oil and omit the oil called for in the recipe above. Hello! 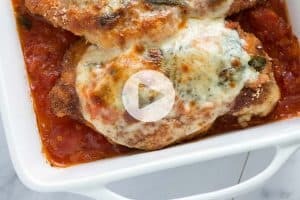 just discovered your site after looking for how to cook pork ribs, then followed to how to make ketchup, looks wonderful and can’t wait to make that! Found this recipe for the pumpkin seeds, my question, how do you eat them? Can you eat all or do you have to dispose of an outer shell to eat the insides???? like for sunflower seeds.Thanks! Eating the outer shell or removing it is completely a personal preference. Some pumpkin seeds have delicate shells and some have thicker shells.